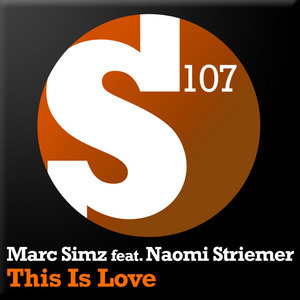 Dutchman Marc Simz is a man who is truly on the up of late, bubbling away under the surface for the past couple of years, it seems 2012 is going to be his year... especially with tunes like this. Having found a fitting home at Black Hole, he follows up Aerofoil collab 'Blikkenslager' with this killer vocal trancer 'This Is Love'. Featuring a new talent it Naomi Striemer, the production is as slick as ever, with plenty of room being left amongst the stunning melodies for Naomi's vocals to shine through and take centre stage... Hands in the air moment for sure! !